Callow Hill Quarry lies approximately 180m to the west of the Community Discovery Centre. The quarry is small; 20m long, 15m wide and 5m high. There are two small rock exposures, both located on the eastern side of the quarry. Within the centre of the site the floor has been cleared and logs have been placed around the edge of this clearing, creating a space for people use. 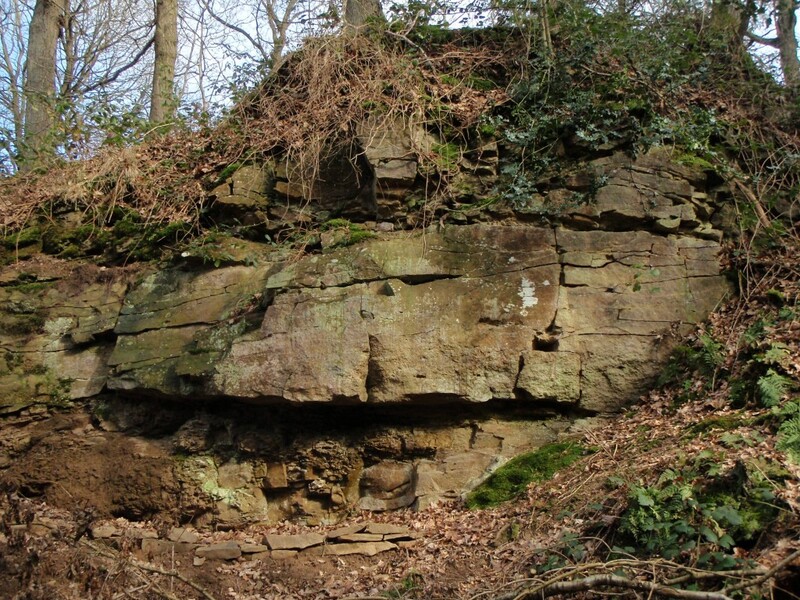 The geology of Callow Hill Quarry dates to the Carboniferous period of time, approximately 310 million years ago. The rocks exposed in the quarry belong to the Etruria Formation. The conglomerates and coarse sandstones that dominate the exposures in the quarry would have been quarried for local aggregate. 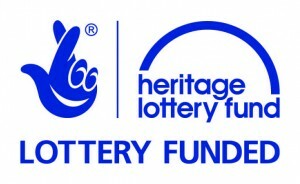 An interpretation panel was produced for Callow Hill Quarry and can be seen here: Callow Hill Quarry Panel. 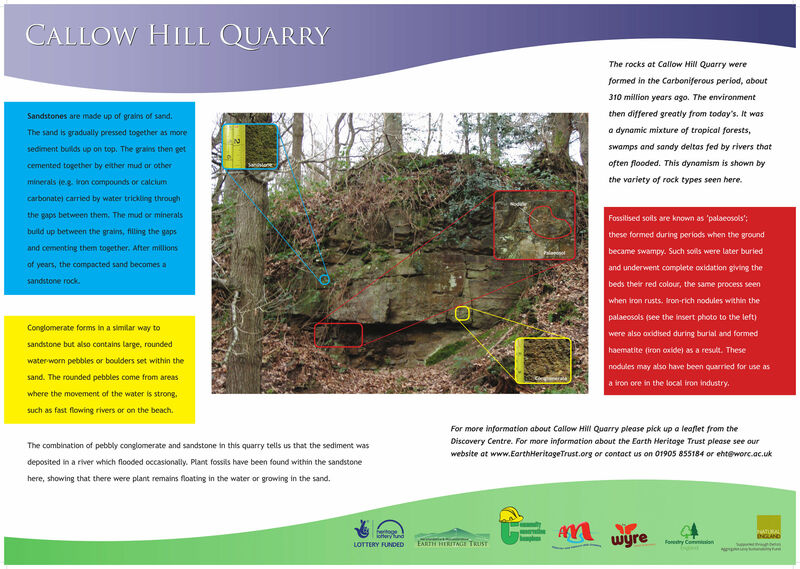 A leaflet was produced for Callow Hill Quarry and a pdf of the leaflet can be downloaded here: Callow Hill Quarry Leaflet.